Should You Buy Now or Try to "Time the Market"? Should You Buy Now or Try to “Time the Market”? The decision to buy a home, especially a first home, is one of the largest financial commitments a person will make in their lifetime. After all, a typical home purchase requires a sizable down-payment, taking out a 30-year mortgage and a commitment to live in a certain area or neighborhood for the foreseeable future. As such, the decision to buy a house will possibly affect you for much of your adult life. This is why home buying can be both exciting and frighting at the same time. A great home buy will result in strong price appreciation and a good quality of life. Also, a good loan with low fixed interest rates, will result in monthly payments that become less significant over time. Many long-term homeowners pay monthly mortgages that are substantially lower than the rent paid by tenants in the same area. Conversely, a poor home buying decision will result in weak price appreciation, or even price depreciation, and a poor quality of life. Also, a bad loan can result in sudden spikes in your mortgage payments. The ultimate bad home buying decision can result in foreclosure and ruin your credit history. As a result, many people try to “time the market” asking if prices will go up or down, or if interest rates will change. Everyone wants to get the best deal in a high stakes decision. 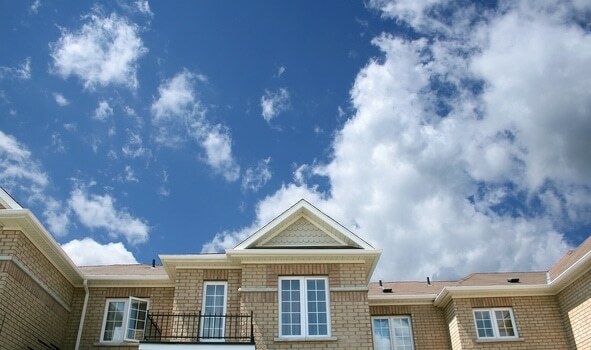 I am of the opinion that a typical home buyer should not try to time the market. There are other more important criteria. When I say typical home buyer, I mean someone who is looking for a place to live and settle down over the course of the next 10-15 years (I am not referring to investors, all-cash buyers or home flippers). While I understand the appeal of timing the market, there are too many interconnected factors. For instance, home prices crashed in 2008 and remained weak for several years. Therefore, it would have been great to buy a home in 2009-2011 when foreclosures flooded the market. However, keep in mind that the unemployment rate during that difficult period had reached 9%. As such, many people could not obtain a mortgage because they were either unemployed, or worried about becoming so. Additionally, many people didn’t know when the market had reached its bottom. Many buyers did not want to jump into the collapsing housing market too soon. They did not want to “catch the knife as it was falling”. Therefore, many people waited too long because they tried to time the market. Macro Economy: If the housing market collapses, chances are the economy will be in recession and your job security will be threatened. At worst, you maybe even be unemployed. Therefore, you may not be able to get a loan to purchase the home you want, even if it’s a great deal. Further, lenders are usually spooked in such markets, and their requirements for giving out loans seem to be more rigorous. Timing: Again, you will never know that the market has hit bottom, until it starts going back up (i.e. after the fact). Keep in mind that there is no official announcement as to when the market has peaked or bottomed out. We only know that the market has peaked after prices start going down and we only know that the market has bottomed out after prices start rising. Perfectly timing the market is very difficult. Other Factors: Home prices are not the only factor to consider when buying a house. A very important consideration is the type of loan that you get (terms of the deal). For instance, if you buy a house for $400,000 at a 3.5% interest rate, your monthly mortgage payment will be around $1,796. However, if you buy the exact same home at the exact same price, but with a 4.5% interest rate, your monthly mortgage payment will be around $2,026, a difference of $230 per month. So, if you buy with a 4.5% loan, you will effectively be making payments on an loan equivalent to $452,000 ($230 at 3.5% is the payment on a loan of about $52K). Therefore, while you may feel you got the exact same deal, you are effectively paying on a larger loan and a more expensive house. This is the reason many people keep refinancing their loans. However, refinancing is almost never free and involves its own hassles. How then should you decide when is an ideal time to buy house? Basically, most real estate professionals recommend that your decision be based on your own goals and personal situation. Living Objectives: How long do you plan on living/keeping your home? Over the course of several years, you are likely to experience both a real estate bubble and a real estate crash. If you plan on staying in your home for the long-term, you shouldn’t be too concerned about the market. Yes, it is very nice to have your home double in price and be sitting on a lot of equity, but unless you’re an investor, you should plan on buying a house in a place you want to live for many years in the future. Affordability: Can you afford your mortgage payments? You shouldn’t assume that your home will automatically keep going up in value and that you will be able to sell anytime you want. Over the course the years, you may find yourself stretched in a down market. As the saying goes, when it rains it pours. You should not rule out possible unemployment or a reduction in your salary. Will you be prepared? Can you hang onto your house when the going gets tough. Savings: Do you have good savings habits? Regardless of who you are or how much money you make, you are always getting older not younger. While income usually goes up with age, so do medical bills, personal expenses, kids, standards of living and hopes for retirement. In essence, you need to be prudent and realistic when deciding to buy a home. Can you afford this neighborhood? Can you afford the size of this home? Are you able to withstand a temporary decline in income, or rise in expenses? Equity: A nice home in a good neighborhood typically results in a handsome payoff over the years, as you payoff your mortgage and prices of real estate increase. Many people’s main component of wealth comes from the equity they built in their homes over the years. This is especially the case in desirable metropolitan areas of New York City, Boston, Los Angeles, San Francisco and San Diego. Taxes: Homeowners get to deduct the interest they pay on loans (interest expense) from taxable income. Therefore, if you make $100K in wages and paid $20K in interest on your home loan, you effectively pay taxes only on $80K of wages. Of course, every person’s situation is different and you would need to check with your CPA, but you get the idea. Independence & Pride of Ownership: It’s your home. You don’t need your landlord’s permission to paint your room a certain color, or whether you can replace the carpet with hardwood flooring. You also don’t have to fear rent hikes or move-out notices. The decision to buy a home can be a very rewarding one. However, it is a very important decision that needs to be made according logic and realistic expectations. Many people have been able to live in excellent communities, send their kids to good schools, entertain friends and family and build a small fortune over the years by buying the right house that fits their circumstances. You should never settle for a bad neighborhood, but don’t always assume that only your desired neighborhoods are the ones worth living in. You may need to commute a little longer or chose a house that is a little smaller. However, buying a nice home in a good neighborhood is, over the long-term, one of the best decisions you can make.